Twenty years after forming as British electronic outfit Faithless, the iconic trio is celebrating their prolific career with a special remix album titled Faithless 2.0. The two-disc release out today on RCA Records/Cheeky Records/Sony Music compiles a selection of Faithless’ greatest hits alongside brand new remixes by some of dance music’s most illustrious heavy hitters including Avicii, Tiësto, Above and Beyond and Armin Van Buuren and underground connoisseurs Booka Shade, Claptone, High Contrast, Eric Prydz and Purple Disco Machine. The 28-track package joins the dots between past, present and future as long-time dance aficionados and newly-inducted electronic fans alike celebrate Faithless’ timeless opuses. In a summer that’s already seen the band headline BBC Radio 1’s 20th anniversary celebrations in Ibiza and announce their first run of EU tour dates for over four years (selling out their gig at Alexandra Palace in less than 50 minutes in the process and adding an extra London date by popular demand), Faithless 2.0 certainly feels like a fitting way to draw their 20th year to a close. Calling on those they’ve inspired and been inspired by throughout their remarkable career, the album welcomes remixes from all some of the best in the business providing their own takes on Faithless’ seminal classic material. While CD1 firmly brings their catalogue back to life, CD2 celebrates 14 of Faithless’ career-defining records with originals “Insomnia,” “Mass Destruction,” “We Come 1” and “Salva Mea” reminding us quite how resonant their music really is. 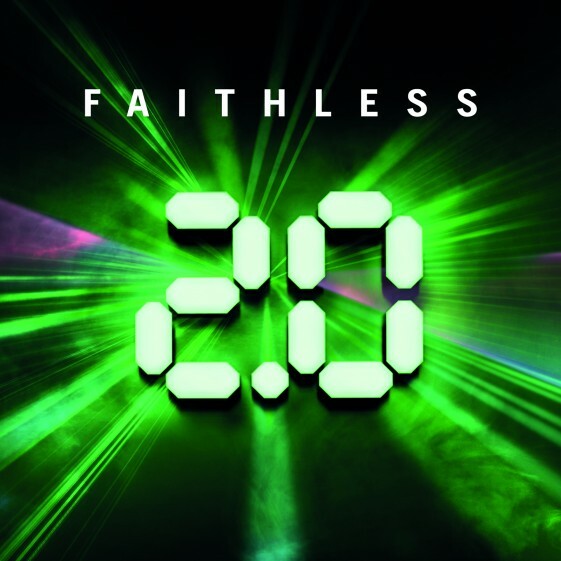 Throughout two discs mirroring Faithless’ classic verve against reimaginations from modern dance floor deities, Faithless 2.0 takes us through an artistic retrospective and a testament to one of the most influential bands of a generation. See below for the full track-listing.